Capes can be obtained on special occasions. 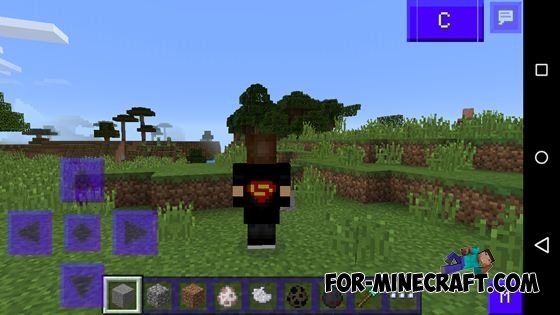 For example, visitors of Minecon festival can get a capes as well as people who are in some way help to the game, in particular, moderators of bug tracker. This modification is allows you to create your own cape or use one of the ready-made templates below. This is another great way to make your character a little more unique. 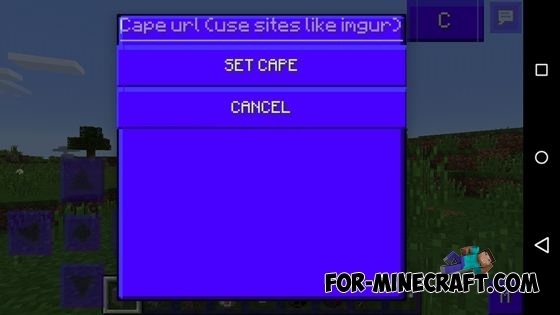 You can get a ready-made templates of capes. If you make your own, add a link to it in the comments so we can include it in the list. How to change the a cape? Download one of the templates. Use Photoshop or a free image editor such as GIMP, to change the cape. Upload the image to Imgur and then copy link to it. Start the game and press the «C» in the upper right corner to open the menu of capes. Insert a link to the image in the top text box, restart BlockLauncher.